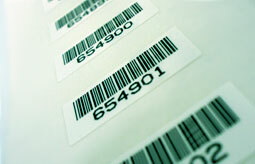 Cellotape delivers the accuracy, speed, and cost-effectiveness you demand for your barcode and numbering needs. With 5 different processes for variable data (including a digital web press that excels at the production of process color labels with variable graphics), we have the solution that’s right for you. We offer a very wide range of linear and 2D symbologies, materials, and finishes to ensure readability by your wand or laser scanner. Our comprehensive selection of outputs, formats, and adhesives can save you time and money.